Ahead of International Women’s Day (8 March), ManpowerGroup Singapore took to the streets to find out how consciously inclusive people actually are by asking them a riddle. A father and son are in car accident that kills the father. The son is rushed to the hospital. 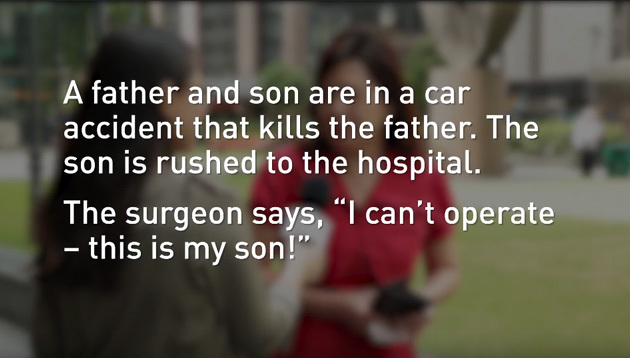 The surgeon says, ‘I can’t operate – this is my son!’ Who is the surgeon? Do you know the answer? If you do, good job! If you don’t, you’re not alone. Watch how Singaporeans reacted when the answer was revealed.